HTB Creations: Happy Mother Day! Hi everyone! A few of us over at Trendy Twine made some special projects to show you today. I found a quick and simple card ready to make on my Explore Design Space. I really loved the clean look of it and decided to try it out. The card was very basic to cut--there's the top, white layer and then it cuts out a bottom, color layer. 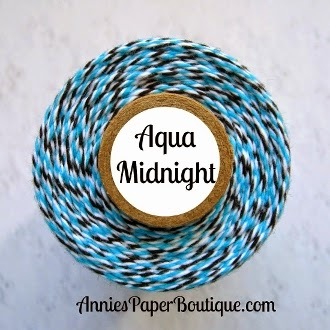 I decided to add my Aqua Midnight Trendy Twine with a bow before I glued on the liner. Then I finished it off with a few stick on gems in the corner. Be sure to head over to Twine it Up! with Trendy Twine to see the other fabulous projects. So pretty and elegant, love the color combination. Hope you have a wonderful Mother's Day! Gorgeous card! 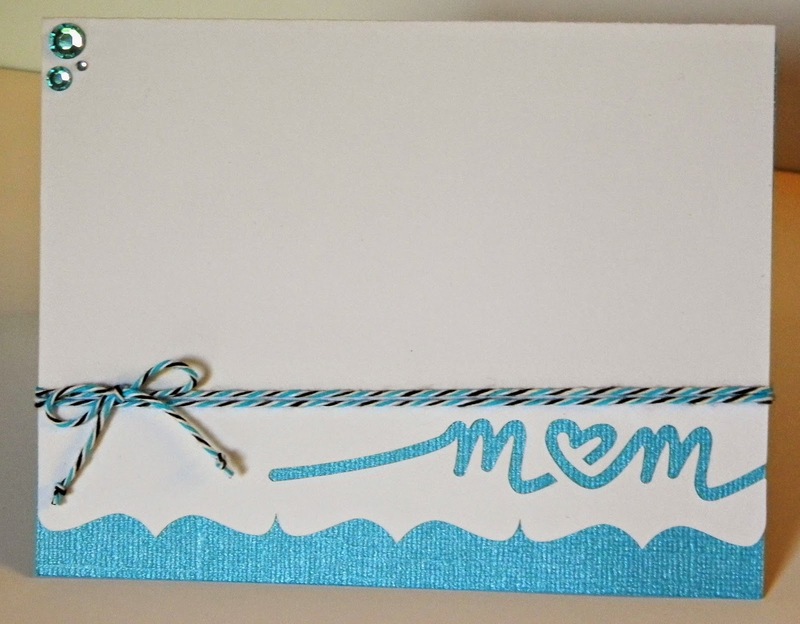 I love how you used Aqua Midnight on a feminine card and totally rocked it!! :) Happy Mother's Day!! This is so beautiful Helen! From the CAS design of the card to the beautiful twine!